We had the best weekend! It was busy, and yet I still got to take a nap both Saturday and Sunday- I honestly don’t think that’s happened since I’ve had two kids! The weekend was the perfect blend of busyness and relaxation. Saturday, we spent the morning at the zoo, napped in the afternoon, and then Ryan and I went to dinner and a concert with some friends. Today was church and more napping. 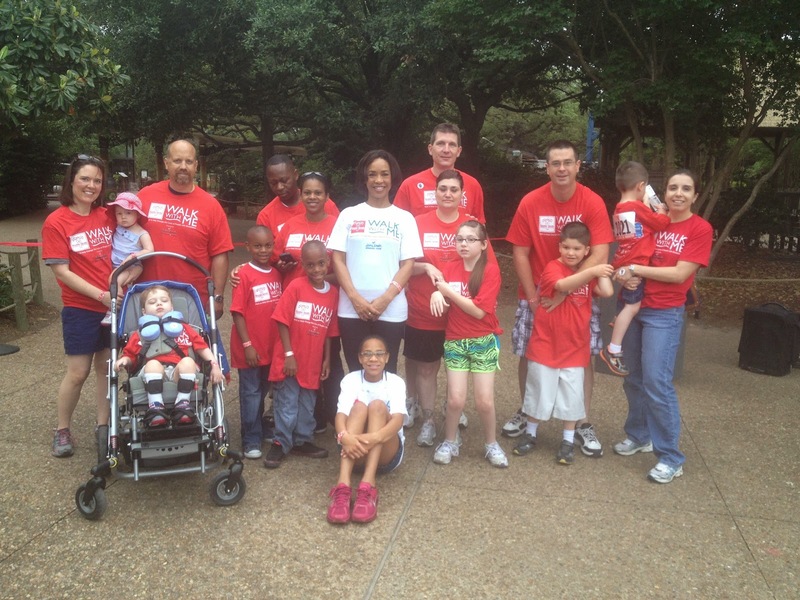 We were up not-so-bright and early Saturday morning to head to the zoo for the Easter Seals Walk with Me. 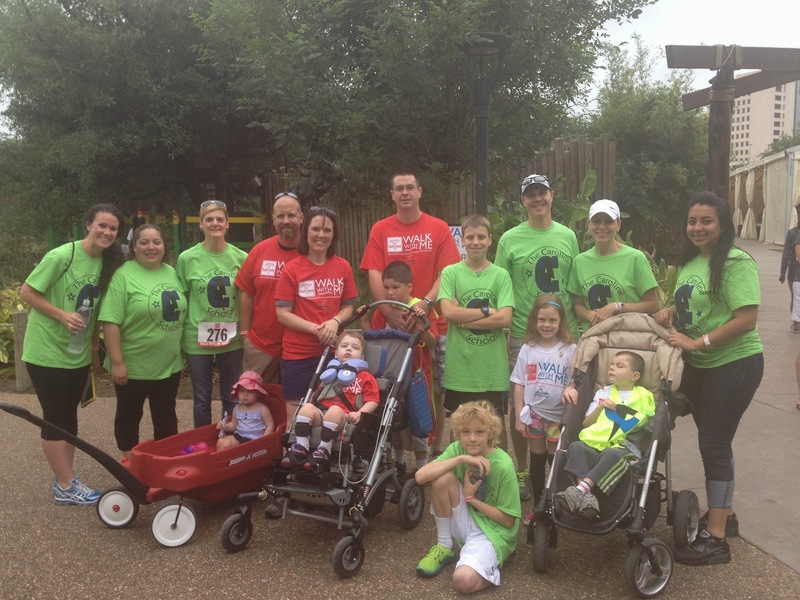 Grayson’s school is a part of the Houston Easter Seals organization and G was chosen to be an “Ambassador” for the walk. Basically that meant our family wore different colored t-shirts than the rest of the crowd and Grayson was introduced by a local news anchor and was part of the ribbon cutting. We were one of four Ambassador families. Grayson got his Hensinger collar (the blue thing around his neck) last week and he seems so much more comfortable when he’s wearing it. It really supports his head/neck and his head doesn’t flop around so much. Group photo of some of the families and teachers at G’s school. We love, love, love the Caroline School! Sweet siblings posing at the giraffe exhibit. Since the walk was early in the morning, before the zoo actually opened, we didn’t see many animals. We did get to watch the giraffes eat their breakfast, which was fun. My handsome guy. Oh, my heart. His nurse told me this weekend that Grayson is the perfect guy: he’s handsome, he loves God, and he doesn’t complain -ha ha! 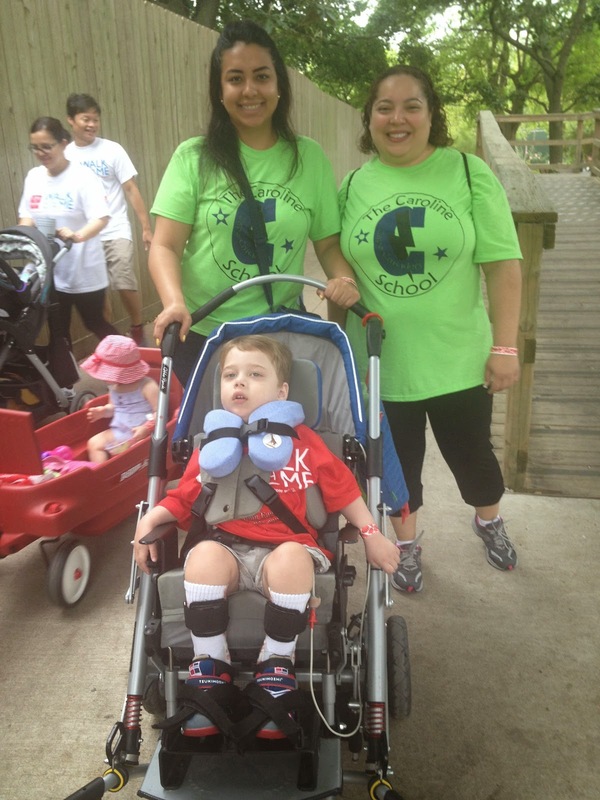 Grayson with his sweet teachers. We love these ladies so much! At the end of the walk route, there was an “after party” with a band, games for the kids, and food. 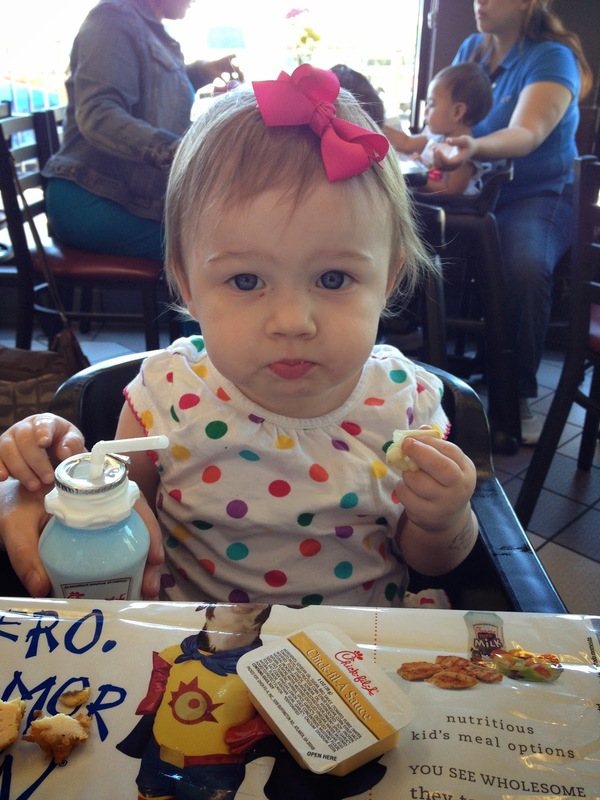 I tried to take a picture before Charlotte shoved 2 donut holes in her mouth- too late! And yes, she polished off the breakfast taco too. Before we left, we stopped by the elephant exhibit. When we got home from the walk, Ryan went and got the mail and there was a letter for Grayson from our insurance company. We get these all the time updating us on coverage for nursing, therapies, etc. so I didn’t think it was going to be anything exciting. 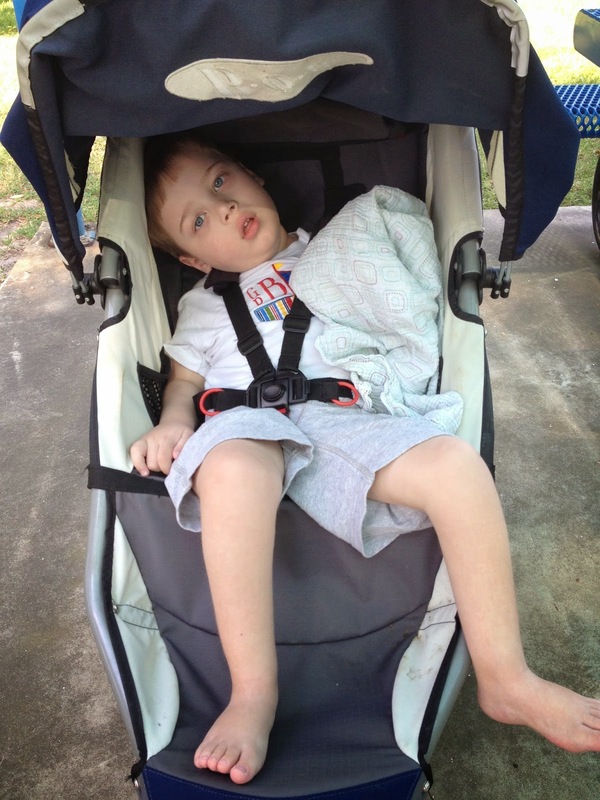 I almost couldn’t believe it when I read that Grayson has been APPROVED for a wheelchair! 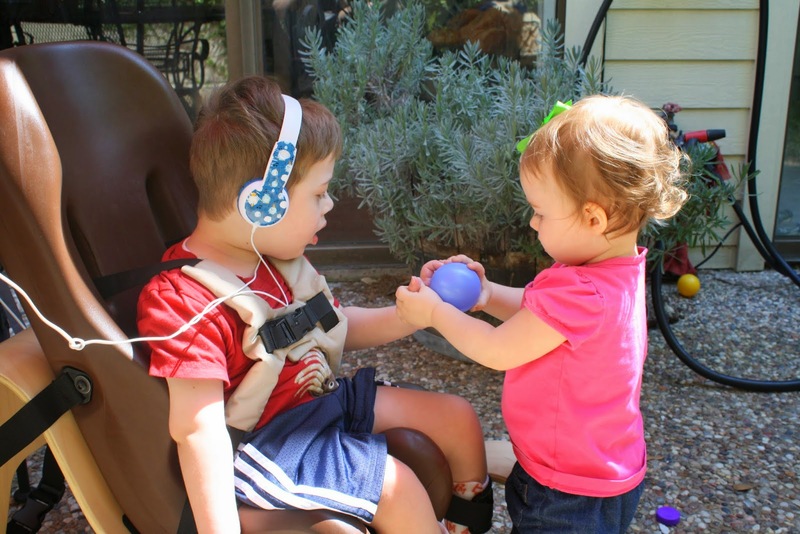 We’ve been waiting for months for this decision and were fully expecting insurance to deny us and that we would have to move to Medicaid (who we weren’t sure would approve it either since they covered the medical stroller not even two years ago). 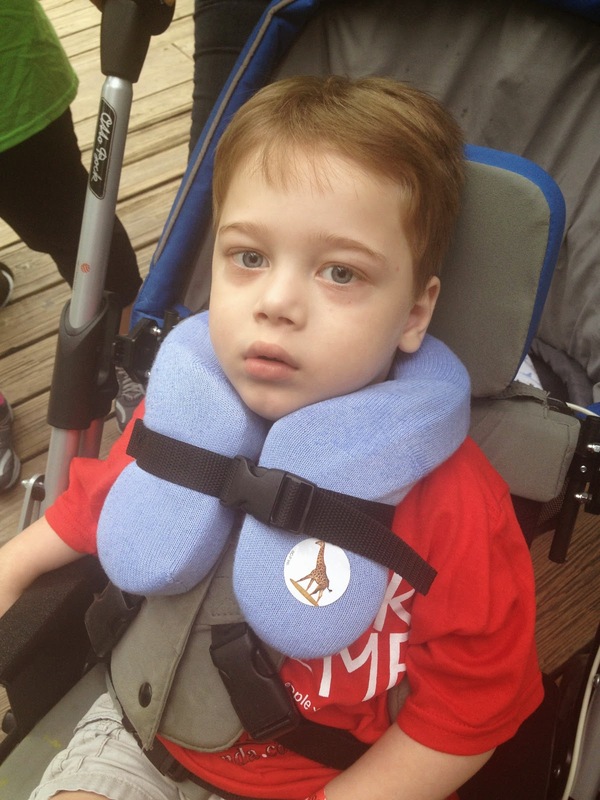 We are so, so excited and grateful that G will now get a chair that will better support him. I hope this means it will be ordered quickly and we will have it sooner rather than later! Hope ya’ll had a great weekend as well! This video pretty well sums up the relationship between my children these days: a lot of sweet, tender moments that turn into Aaaaaa! moments in an instant. (Any suggestions to get Charlotte to stop hurting her brother and liking it- aaaa!- are welcome). And just for fun, some pictures I took yesterday at the park that just make me laugh. 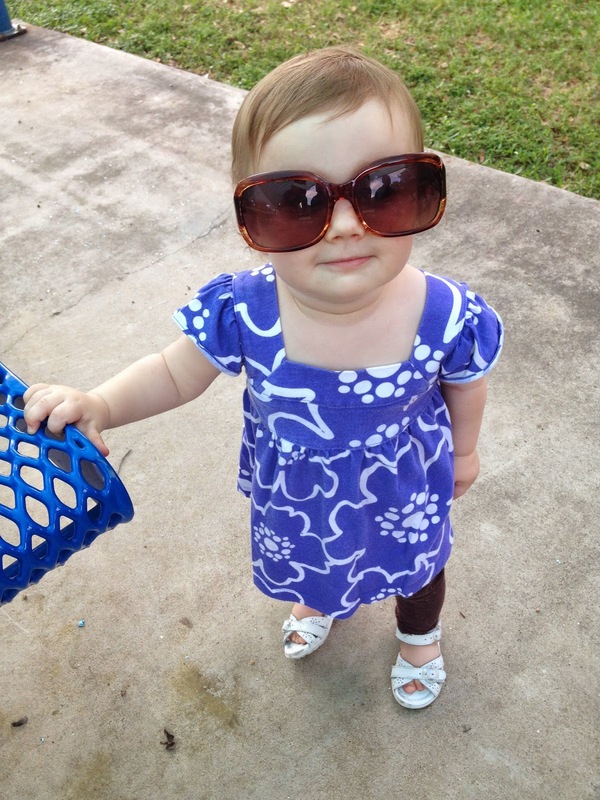 This little diva is ready for summer! We spent Easter weekend at the ranch. The weather was perfect: warm, but not intensely hot like it will surely be in a few months. 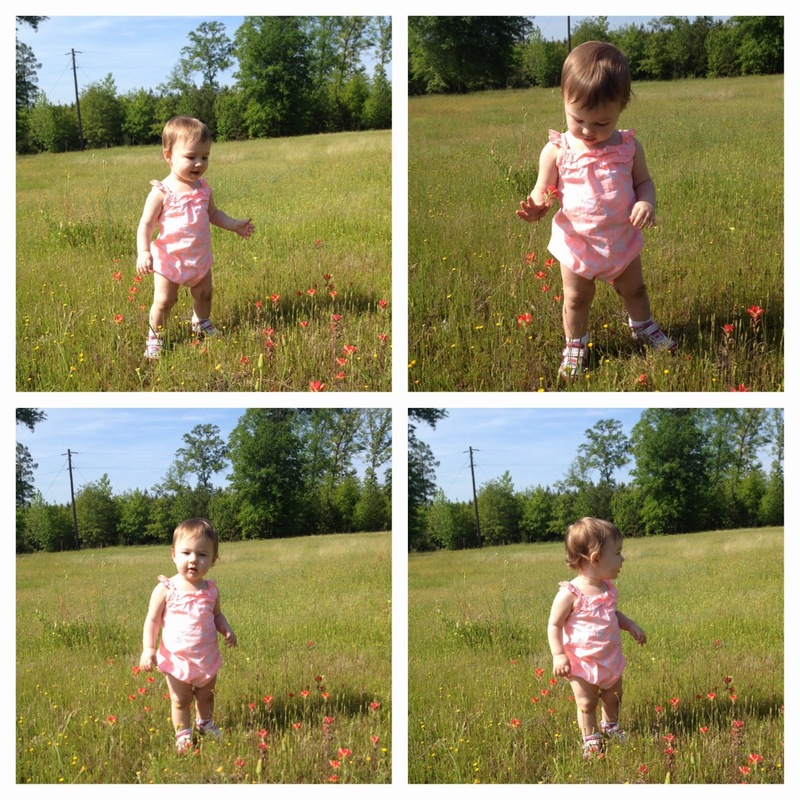 The wildflowers were blooming, dotting the green acres with bursts of color. And she is finally walking, and for the first time got to experience dandelions and dirty knees and hands from hours spent outside. She’s still unsure of her feet on the uneven terrain, and we walked hand in hand most of the weekend. But I know that won’t be for long; I imagine her in the years to come- running through these fields, riding her bike down the hills, collecting frogs, bugs and wildflowers. An idyllic childhood- this is what I want for her. The potential of her life is boundless; she can make nearly anything of herself in the years ahead. I desperately want the same things for him; I want him to be able to stand in the sun, to let go of my hand and run through the fields. To realize there is so much more to love and discover about life than the same toys and songs over and over. It’s a difficult journey for sure: to love and parent two children with the same intensity and passion, yet with such different expectations and outcomes. One who has such potential and measurable progress- I truly feel like I witness little miracles every day watching her learn and grow. And the other, whose life seems stuck on repeat, and yet, is still so, so precious. And yet, I’m thankful for this journey. Happy Easter! 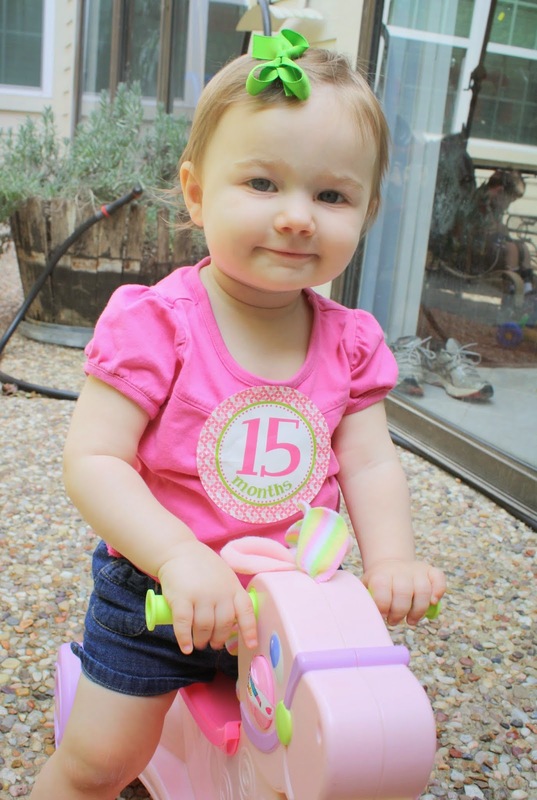 Today you are 15 months old, and we spent the long weekend at the ranch with Daddy, Grayson, Grammie, and Aunt Becc. We had so much fun! We got you a red wagon as your Easter present, and put it to good use rolling you all over. 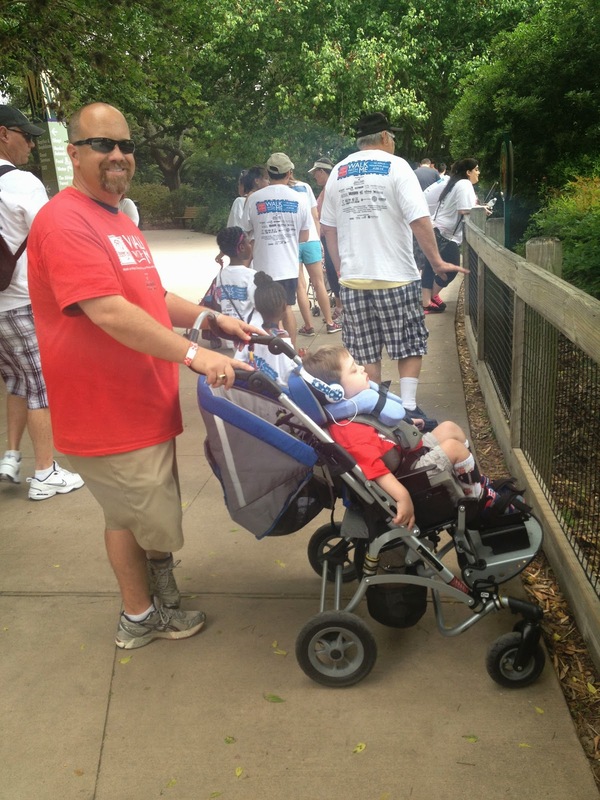 The biggest excitement around here lately is you are WALKING! So many people have told me “just wait” and “be careful what you wish for” about you learning to walk, but so far, I absolutely love it. It has opened up a whole new world for us, and you can just do so much more. I love watching you become more and more independent and get where you need to go without being on your hands and knees all the time. Plus, you are just so dang cute waddling along. 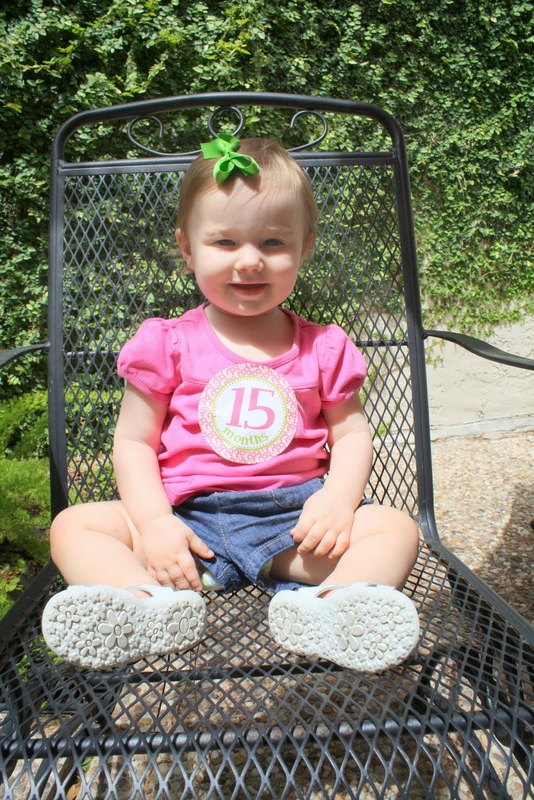 At 15 months old, you weigh exactly 22 pounds, you are in size 18 month clothing and size 4 diapers. You still have only 4 teeth. You have been an excellent eater the past few weeks, often asking for “more! more!” when you finish the helping of whatever is on your tray. You are still drinking milk out of a bottle before bed and naps and are still nursing occasionally, although I think our breastfeeding days are coming to a close. This makes me a little wistful, but I’m definitely more okay with it than I thought I would be. I’ve always said it was going to be your call when we were done, so I’m holding you to that. You are learning more and more words every day. My favorite lately is when you say “yes”. You nod your head and say “Yup”- it’s adorable. You have also recently learned “No”, coordinating with a shake of your head- oy. Lately, you’ve been struggling with interacting with Grayson gently- for some reason, you find grabbing his face and his hair irresistible and we’ve had plenty of tears (yours and Grayson’s) when I pull you off of him repeatedly. This afternoon, though, we witnessed the sweetest moment between you and your brother. We were outside on the patio, and I asked you to bring Grayson a ball to hold. You brought him the ball, and then proceeded to open his hand and place the ball in it. You were trying so hard to help him hold the ball- both Daddy and I had tears in our eyes. You are the sweetest, most loving sister to Grayson, and I know you never mean to hurt him. 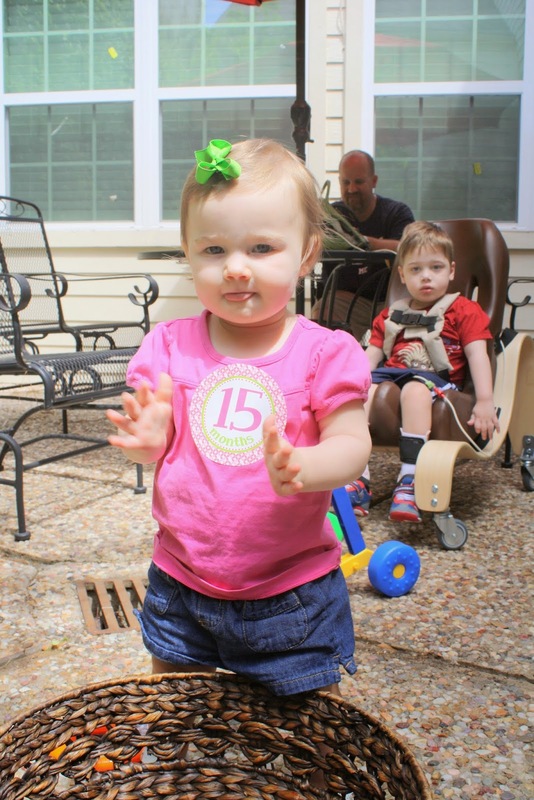 Charlotte, you are such a joy and it’s hard to believe that we only met you 15 months ago. I love you so much- thank you for making life so fun! According to what I’ve seen in my facebook newsfeed the past two days, the opinion I’m about to confess is probably going to be somewhat unpopular. When I watched that “Hardest Job in the World” fake interview video yesterday, which I saw posted probably 10 times, my first reaction was ANNOYED. I’m annoyed because the “qualifications” described by the interviewer for the “job” don’t resemble my day at all- and I don’t want them too. I don’t necessarily think my job has to be hard every second of every day in order to do it well. Guess what? My days are not always hard. Sometimes I eat breakfast before my kid while she’s either still sleeping or playing with her toys. Most days we eat breakfast together. This mama is NOT a martyr when it comes to food- when I’m hungry, I eat. I also sit during the day- a lot. I sit on the floor and play blocks with Charlotte, I sit with Grayson on the couch and sing to him, and sometimes I sit and zone out on my phone while they do their own thing. I take breaks: Grayson is at school 6 hours a day, and Charlotte naps. Sure, sometimes I clean the house while she naps, or make medical-related phone calls, but a lot of times, I just take a break. I sleep. I have never been one to stay up late, and I’m definitely more of a morning person than a night owl. My children are both asleep most nights by 6:30, and I’m in bed by 9:00. And on the nights we have G’s nurse, I sleep through the night. Yes, there are exasperating, terrifying, HARD moments, hours, and days of this “job”. 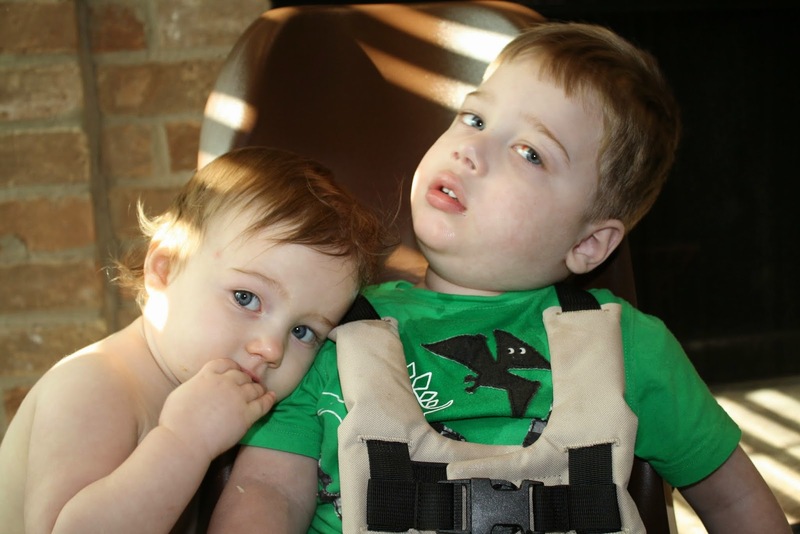 Being Grayson’s mom is rewarding and a privilege, but it’s emotionally draining. I get little feedback from him and he can do nothing for himself. When he’s sick and in the hospital, life is tough, and sometimes scary. It’s overwhelming to think about his future, and the decisions we will eventually have to make for him. Charlotte is beginning to test my authority, and for the first time in the 3.5 years I’ve been a mom, I’m having to consider discipline. It’s challenging, and I worry about screwing it up. However, honestly, most of the time, I really, truly ENJOY being a mom. I like my kids and I like doing things with them. I love watching Charlotte grow and do “normal” things. Watching her learn to walk the last few weeks has been absolutely thrilling- and I’m glad she’s stretched the process out. I love taking her on play dates, to lunch with her Grammie, aunt and cousin, and to the zoo with our friends. While Grayson is at school, I try and fill our days with fun outings and new experiences, none of which I consider hard. But I do consider this being a good mom. I think the thing that made me most annoyed with that video was it made me feel like I am doing something wrong because I don’t feel that I am sacrificing EVERYTHING, including my own happiness, to be a mom. I’m doing what I’ve always wanted to do, and I enjoy it. There are parts of this job that are unpleasant, sure, but that’s part of it. 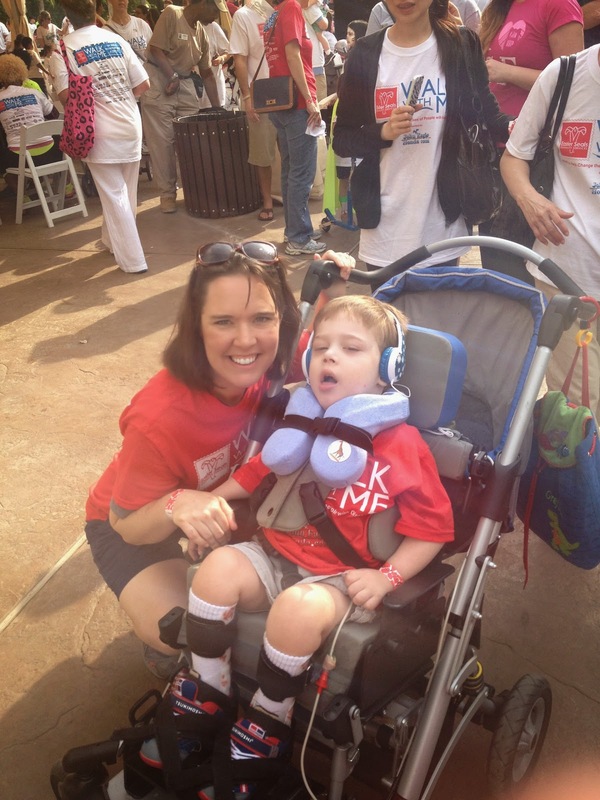 I certainly don’t think I work harder than Grayson’s doctors whose expertise keep him functioning as well as he is, or his teachers who keep him engaged and happy 6 hours of the day. And I don’t consider my job harder than any other profession either, just different. But that being said, again, I don’t think they level of difficulty of a job (which, how do you measure that anyway?) truly is a measure of it’s worth. I know I’m the best mom for MY kids because I love them and make every decision I can in their best interests. But tomorrow, I’m still going to sleep, eat, sit and take breaks when I can! 1. 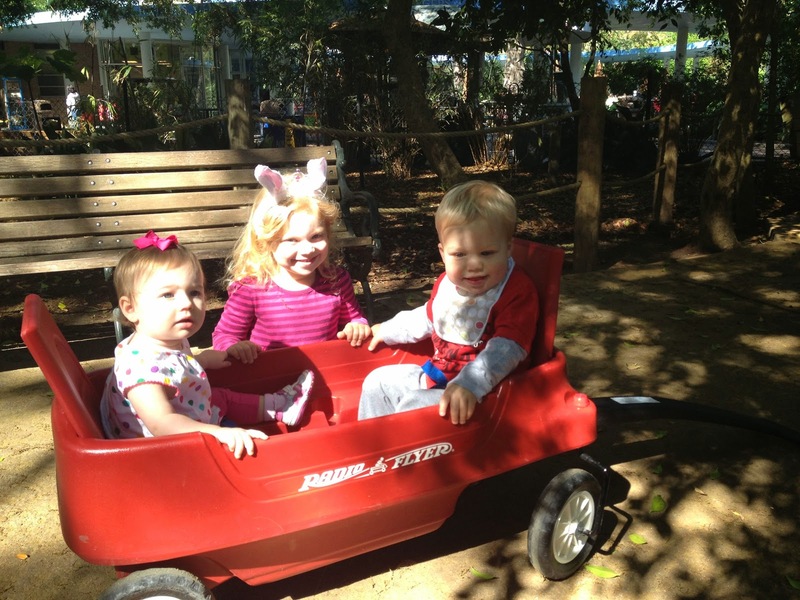 While Grayson was at school on Tuesday, Charlotte and I went to the zoo with our good friends! 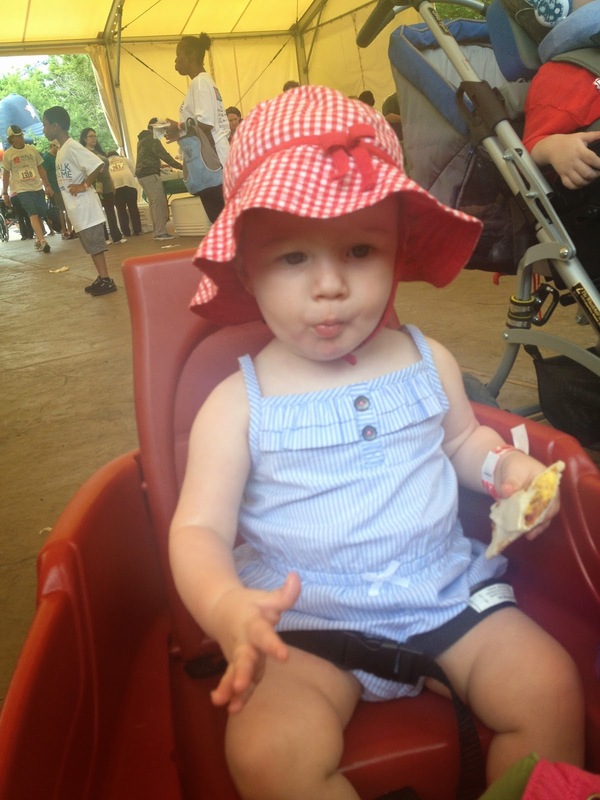 Charlotte wasn’t as taken with the animals as I thought she would be, but she loved riding in the wagon and eating snacks. And we had a great lunch at Chick-Fil-A afterwards. Fun day! 2. We rarely if ever leave the house once we are home from getting Grayson from school, but since we had the nurse that night, Charlotte and I went to her daddy’s game. I’m so glad we did- she had a blast. She cheered and clapped and hung out with the team manager the whole game. 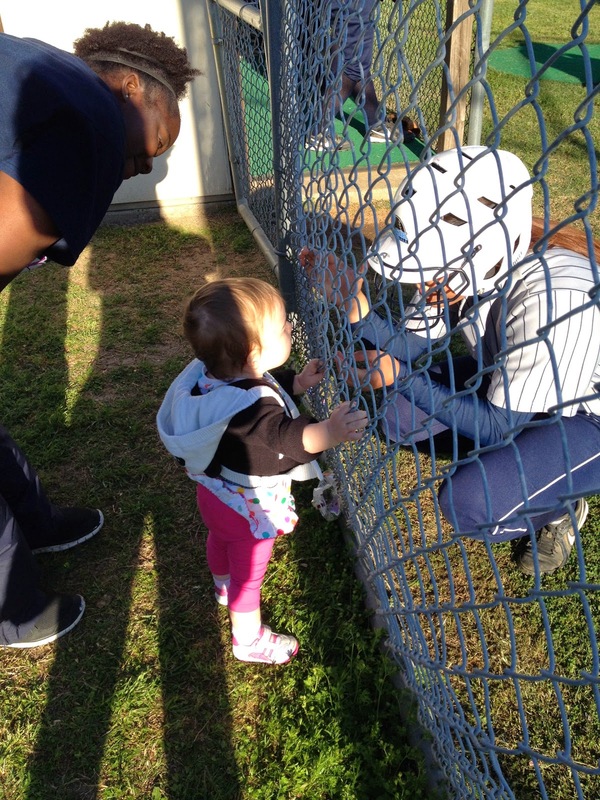 I hope she has many, many games on the other side of the fence in a few years. 3. We had lunch Wednesday with one of my best friends who I haven’t seen in awhile. I sadly don’t have any pictures, but I should have taken some of the epic mess Charlotte made with the basket of tortilla chips and a (not quite empty) water cup. 3. 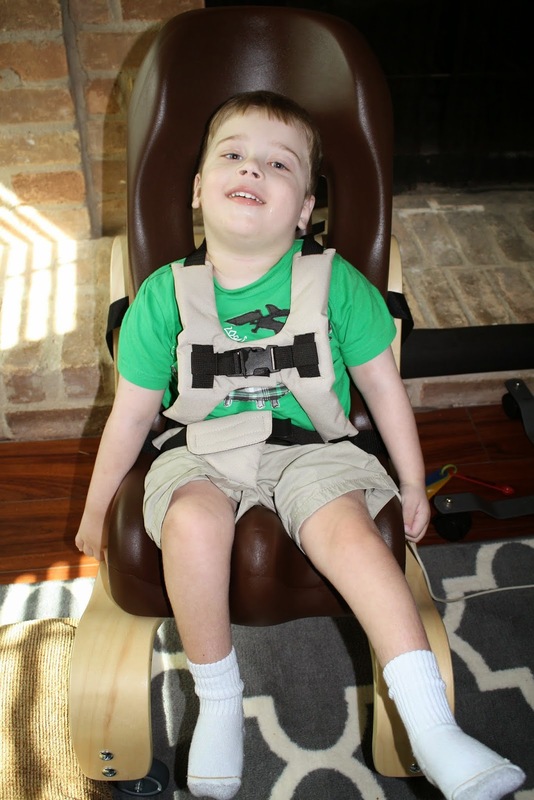 Grayson’s new chair for hanging out at home was delivered yesterday, and so far we love it! 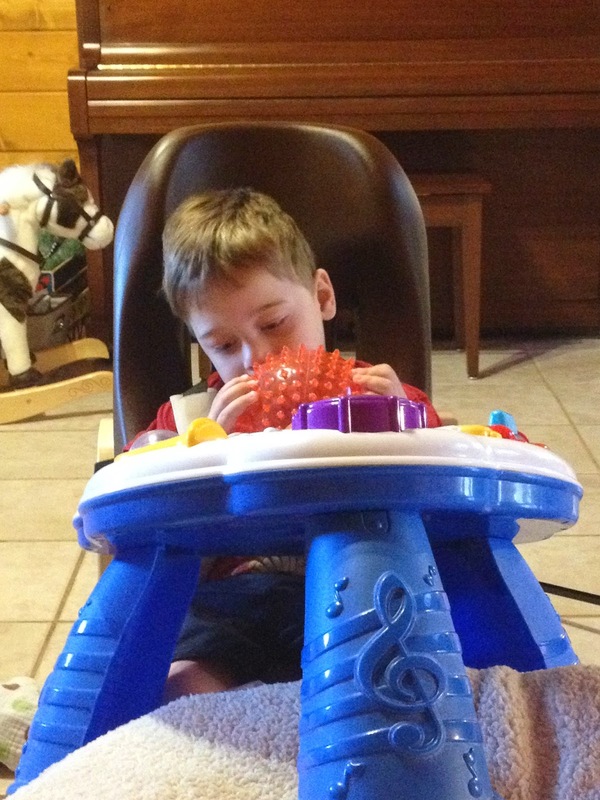 It supports him SO much better than his big bumbo seat. I put him in it after school today for the first time, and he was content for almost 2 hours until bedtime! 4. 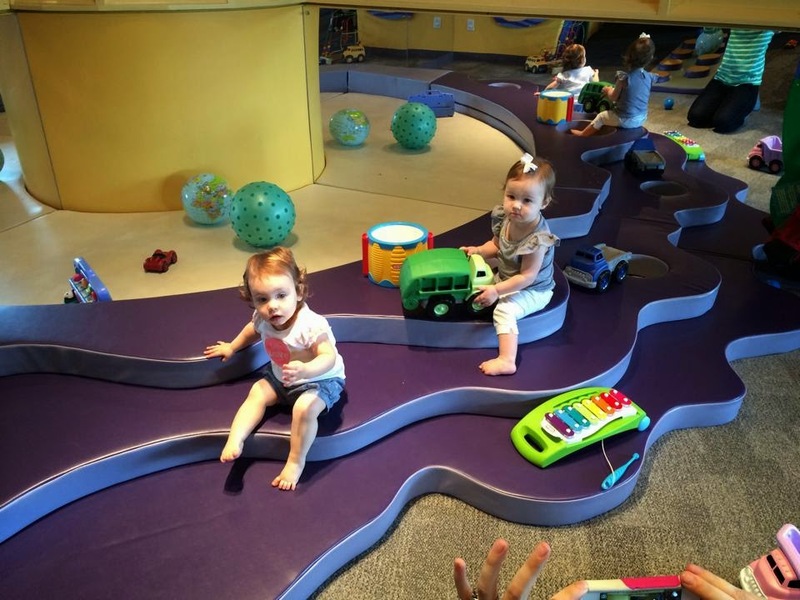 Today, we went to the Children’s Museum with some friends. 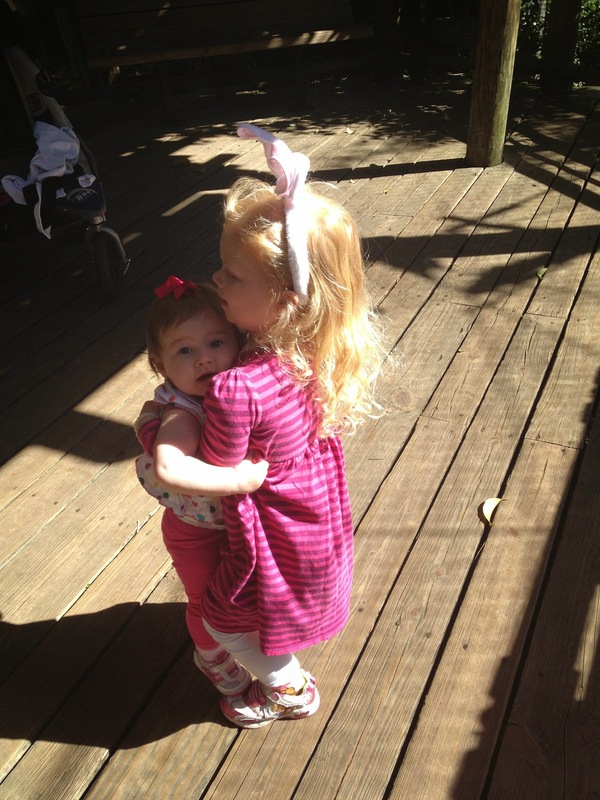 Charlotte and P are 10 days apart and are so cute together- they truly look like they could be sisters! By the way, I want Charlotte’s outfit in my size. Old Navy for the win! 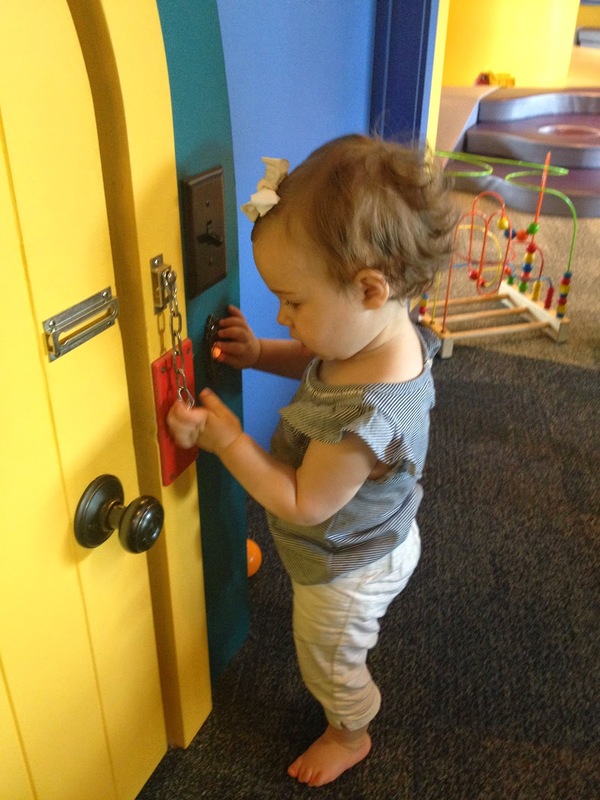 Charlotte LOVES messing with the locks on our doors at home- I love that the Children’s museum has a door and lock at her level! 5. These two. I missed Sibling Day yesterday, so I took some shots this afternoon of these goofballs. They sure do love each other. 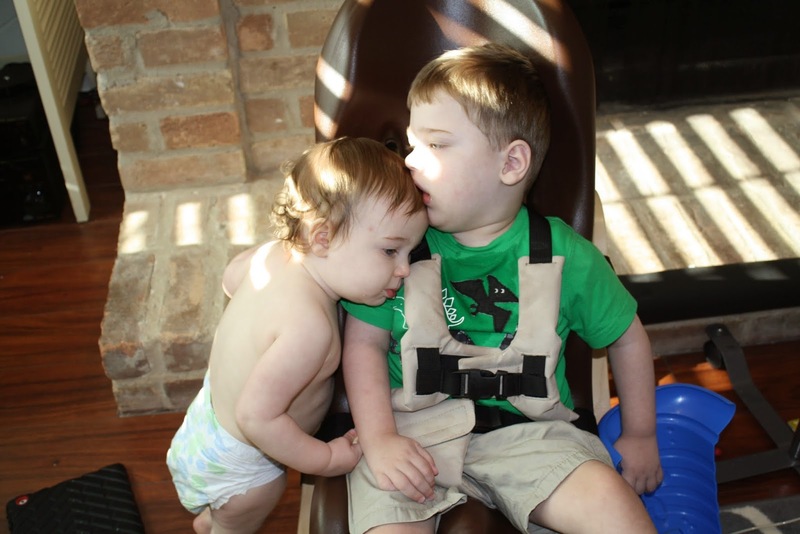 Not pictured: the thousand times I had to pull Charlotte off her brother because she was trying to rip his face off. Sigh. 6. THIS is now happening in our house. Very exciting! I’m sharing Grayson’s story tomorrow with my MOPS group and I’ve been writing out my “speech” all day, chunks at a time. I’ve written the story of the past 3 1/2 years a good amount of times, but each time I do, it’s emotionally draining and difficult to compress so many experiences and uncertainty into a brief document. This time, I decided to focus on God’s hand in our story and the specific gifts he has given us along the way: specifically Charlotte. 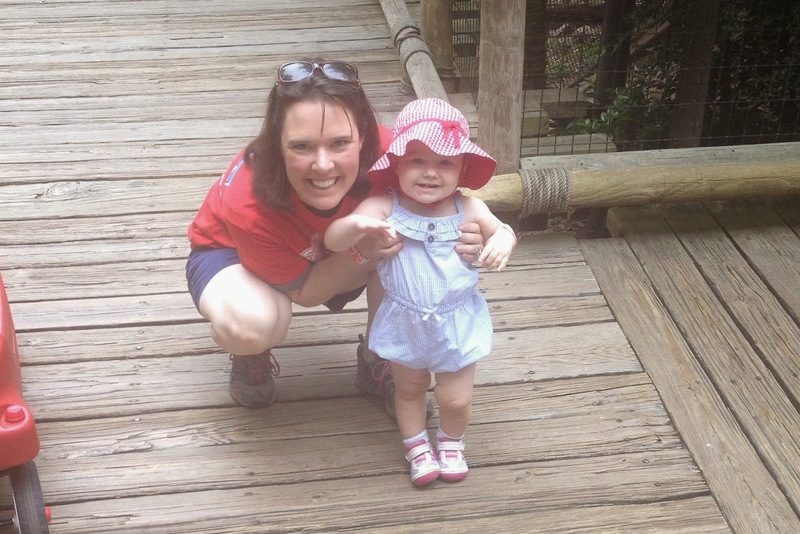 This week, I have been reminded just what a blessing it is to have a healthy child. Charlotte was sick this week and we had to see the doctor for her first ever sick visit. 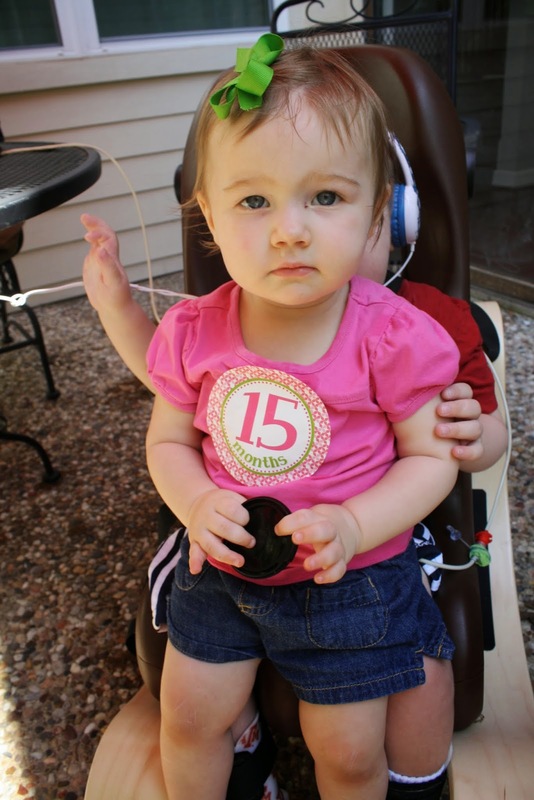 Turns out, she had a double ear infection and bad sinus infection. Reluctantly, I filled her first ever prescription and she is just about good as new today. 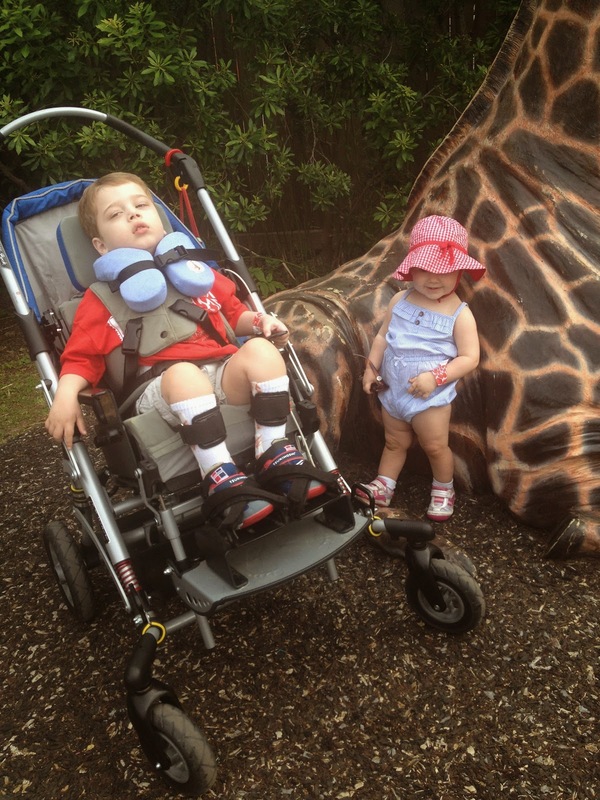 What a difference it is handling illness with a healthy child versus one who is not! Although we had some rough moments, and I was bummed that she missed school Thursday and therefore I missed my day “off”, it really was just a bump in the road. 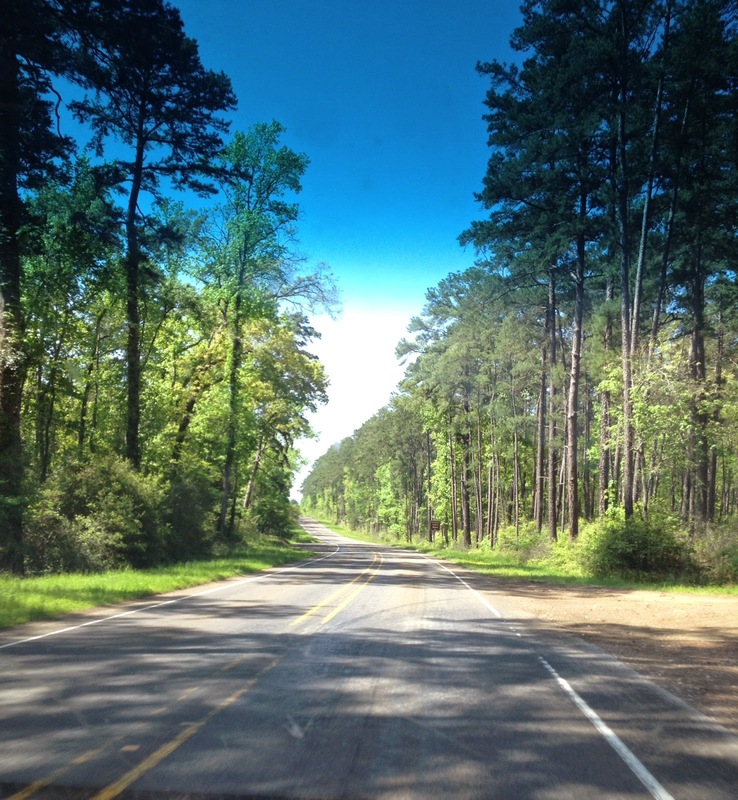 No fear of ending up in the hospital and no agonizing decisions of how to treat symptoms. We just handled it, and moved on. Normal. There are other “normal” things I am loving right now too. I bought Frozen, and Charlotte and I watched it together (well, she watched some of it). We were snuggled up on the couch, watching a Disney movie. That’s what people do with their kids right? Normal. On Saturday, we went to watch a parade of dog rescue groups. Ryan and Grayson stayed back, but I held Charlotte right up front as she squealed at the dozens of dogs who paraded by. After the parade, we went to a restaurant where the three of us split a pizza and Grayson chilled out with his Veggies. I almost have to pinch myself that I’m now the mom with a toddler who sits in a restaurant high chair and eats actual food with the rest of the family. Normal. I hope as Charlotte grows, I will always be enchanted by the experiences we have together. I never want to take normal for granted, because “normal” is not everyone’s normal. It’s special, it’s a gift, and I love it.